Ok, I’m obsessed. I originally bypassed it by browsing on the site; it looked like a plain skirt, maybe for suiting or something. But then I saw it in the catalog and it was love at first sight. Pair it with a longish top, the bottom flares out in an incredibly adorable, feminine, yet polished way. Dressed up with a button down or down with a sweatshirt, it just looks awesome on and makes anyone’s waist look teeny tiny. The material is substantial and feels very high quality. 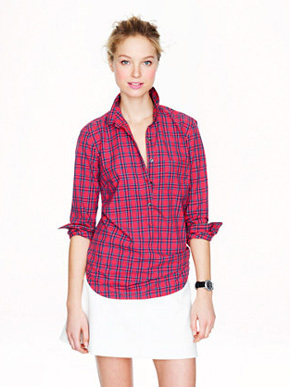 I rarely buy J.Crew at full price these days, but this skirt is worth every penny. Seeing how quickly the red sold out, I’d jump on this ASAP. Love, love, love! 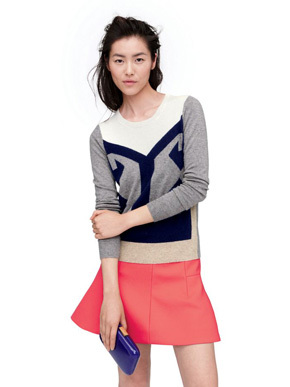 Buy it here from J.Crew for $98 (currently with additional 30% off!). This entry was posted in J.Crew. Bookmark the permalink.